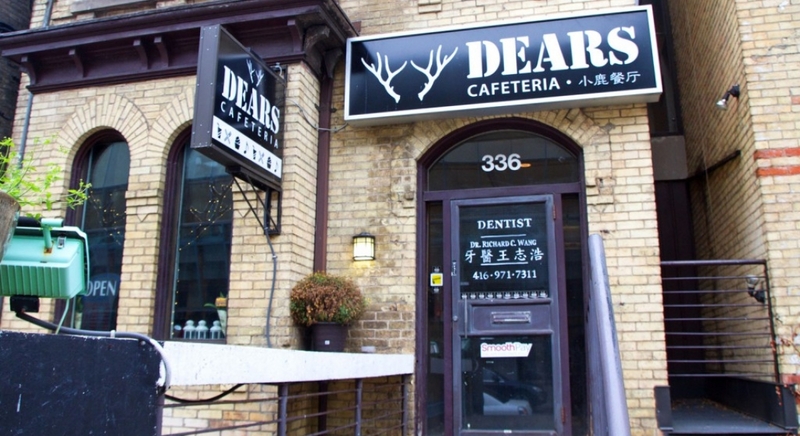 Dears Cafeteria is a newly opened eatery right across from the Art Gallery of Ontario. This Taiwanese cafe has a great selection of items including espresso drinks, milk teas, savoury meals, and sweet treats. Dears Cafeteria serves a range of delightful dishes sure to satisfy your cravings. The Satay Beef Meatball pot is made with beef meatballs, fresh vegetables, and noodles. Or you can have a classic sandwich with your choice of vegetable, cheese, ham, bacon or sausage. Sandwiches are served with salad and fries. Craving something sweet? Try their cube toast (which will totally make for a great Instagram shot) that comes in either vanilla, strawberry, mango, or chocolate & banana. You can also have a crepe served with ice-cream and fresh fruit. Crepe flavours include vanilla, strawberry, red bean & matcha, as well as chocolate & banana. Yum! Complete your meal with one of their infamous milk teas. Whether it’s Taro or Matcha, you can have your favourite flavour or try something you’ve never had before. You can also get a pot of tea including Wulong, Rose Tea, Violet Tea, and more. Dears Cafeteria is now offering mobile payments and loyalty rewards with SmoothPay. Our app lets you discover great locations nearby where you get to pay with your phone and earn credits. The best part is: loyalty rewards and first time offers are automatically applied to your purchase. Visit this cafe today at 336 Dundas Street West and get rewarded $3 when you spend $30!